There are a lot of Queens in the Fiction realm. Mary Higgins-Clark is titled the “Queen of Suspense” for instance, though, that is probably because Agatha Christie had already claimed the “Queen of Crime.” Rightful so I might add. 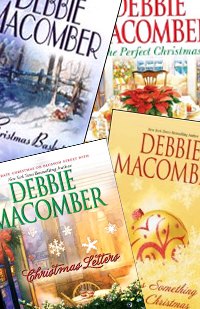 But if one could say there is a Queen of the Christmas novel, I’d have to give that to Debbie Macomber. Ms. Macomber is the author of over 150 novels in fact, but I think her Christmas romantic comedies are her real gems. Hallmark Movies has even contracted a produced a number of them. In my house, my mother and I kind of challenge each other to see how many we can read during the month of December. But let me give you just a sampling of her novels so you can decide. Cassie Beaumont is tired of being single and she’s ready to take drastic action. Yes, she has decided to hire a professional matchmaker. But before the infamous Mr. Dodson can decide what type of man would suit her best he wants to run her through a series of test. She just has to create the perfect Christmas. Katherine O’Connor is a professional Christmas Letter writer. No matter how bad your year has been, she can write a letter that will make you friends and family think you’re life is stellar. Of course, when your business is Christmas, suddenly discovering that your new neighbor is a famed child physiologist who recommends parents ditch the whole “Christmas lie” can make life difficult. After being stuck writing obituaries for her local newspaper, Katherine O’Connor has finally gotten an assignment, albeit a strange one. She’s been picked to interview four finalists in a fruitcake contest from across her state. Learning about the lives of each woman and how their experiences shaped their recipes has potential, but Katherine has three major problems. She hates fruitcake. She hates flying. And she really hates the pilot the newspaper has hired to chart her around the state. Noelle McDowell should have known better than to fall in love with the son of her mother’s hated enemy. What seemed like the perfect scenario of young, forbidden love suddenly turned to heartache and left Noelle with a bad taste for her hometown. Now almost ten years later she’s finally returned home to celebrate Christmas with her family. Of course it had to be the year he returned as well. If you’re at all interested in the sound of these novels may I add that they are all choke full of hilarious moments. 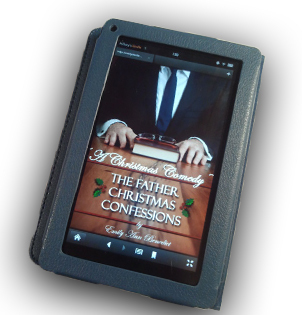 In the traditional style of Christmas books, they are also very light, quick reads. You can easily read multiple during the month. So, if you need a little help getting in the Christmas spirit, I suggest you get yourself a cup of cocoa, find a warm spot, and read about all the funny and heartwarming situations a girl can get herself into during the season. < Previous Download my new release for FREE today only!